Get involved in what’s happening. There’s always something exciting going on at Solid Rock Church. Check out our events at the North Campus or sign-up for an upcoming event. Solid Rock North has approximately 40 ministries in operation, so no matter what you enjoy or where you feel called, there is something here for you. We work hard to reach every demographic and be effective to minister to those in all walks of life. Check out the ministries here at the North Campus. Darlene Bishop is Senior Pastor of the dynamic, multi-cultural, Solid Rock Church with two campuses, one in Lebanon and the other in Cincinnati, Ohio. She made a commitment to Christ at fourteen years of age and felt the call of God upon her life. A couple years later she married Lawrence Bishop. Together they had 4 children Jana, Lawrence II, Renee and Julie. In 1978 they began Middletown Evangelistic Center in Middletown, Ohio. As the congregation grew, God gave them a desire to build what we now know as Solid Rock Church. They pastored together for 33 years until Pastor Lawrence went home to be with the Lord. Besides pastoring, Darlene is President and Founder of the Darlene Bishop Home for Life, a residential home for women who are pregnant or dealing with life destructive choices. She is also a nationally known conference speaker with a powerful testimony. She was physically attacked with sickness in her body in March 1986 but she trusted completely in the Word of God and by July 21st of that same year; God completely healed her body. Lawrence Bishop II was raised in Church and called into the ministry at a young age. After the passing of his father in 2011, Lawrence II stepped up to assist his mom and became co-pastor of both campus locations of Solid Rock Church. Lawrence also travels both domestically and internationally preaching and teaching. Lawrence has a deep love for music. He is a musician, songwriter and is a band member of 4-time Dove Award winning Christian Rock Band “Bride”. He also leads his own group, Lawrence Bishop II and the Livestock Band. Lawrence II has become an accomplished studio musician, having done sessions with many of Nashville’s “A” List players. He has produced several music CDs and, as a songwriter, has had his songs cut by multiple world-renowned artists. Currently, Lawrence resides in Lebanon, Ohio with this wife Saleena and two boys, Elvis and Rio. 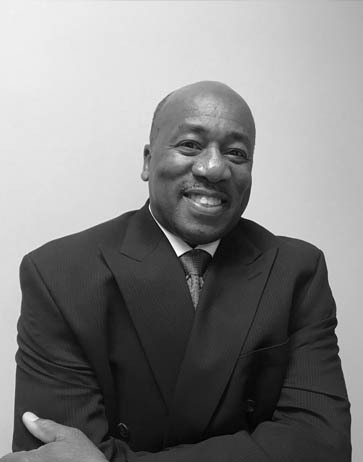 Darrell Smith is the Administrator of Solid Rock Church’s North Campus. He oversees the day-to-day operations at the church, as well as the individual ministries and leaders. Darrell gave his life to Christ in 1983 and has been a member of Solid Rock Church since the year 2000. During his time at the church, he served on the security team, ministered through Bible classes with the prison team, and he has developed and taught classes for the Darlene Bishop Home for Life and the Living Free class. His career path began with the military. 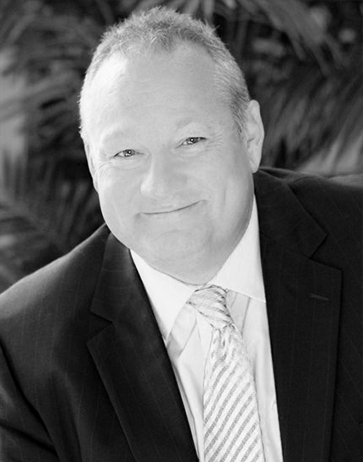 Upon his retirement from the Army, Darrell served as a civilian military recruiter for many years. Before coming on board at Solid Rock Church, he was manager of Veteran Affairs at Cincinnati State Technical & Community College. He has received his Associates, Bachelors and Masters degrees and is currently working on his Doctorate in Adult Education. Darrell is married to his wife Yvonne and together they have 3 adult children, Jessica, Jeremy and Jasmine, as well as 3 grandchildren. In his spare time, Darrell enjoys playing the violin and is part of the New Horizons Orchestra. 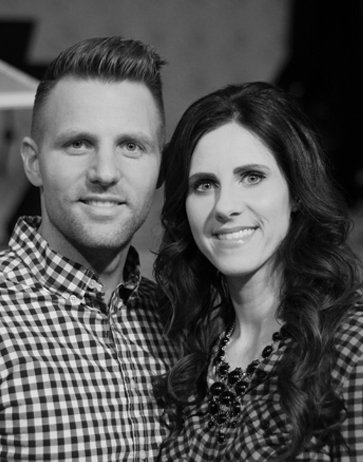 Jason Bowman is Campus Pastor of Solid Rock Church’s South Campus in Cincinnati, Ohio and has been a member of Solid Rock Church for 3 years. Jason is originally from Germantown, Ohio. He holds a Bachelors degree of Science in Education and a Masters degree of Arts in Education. Before accepting the position of Campus Pastor, he taught in the public school system for 7 years. Jason is married to his wife Brittany and together they have two children Jaden and Elann. Shawna has been the Executive Assistant to Darlene Bishop since 2001. She also serves as Administrator at Solid Rock Church’s South campus. 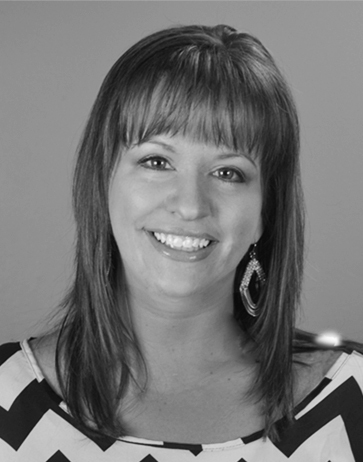 Shawna was born and raised in Hamilton, Ohio and attended Miami University. She is married to Chris and they have three children; Chloe, Seth, and Brock. 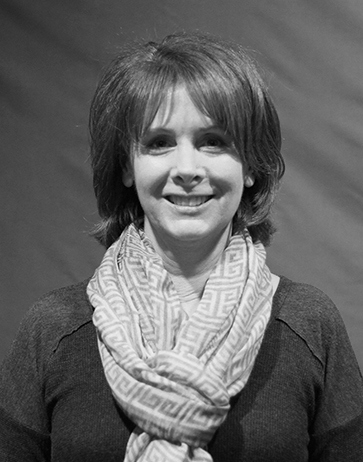 Lisa Allread has been the Director of the Children’s Ministry at Solid Rock Church’s South campus since 2009 and she has served in the Children’s Ministry for many years. Prior to becoming Director, Lisa helped to run a local food bank and help center. She also dedicated her time to home-schooling her children. She has attended church for most of her life but truly made a commitment to Christ while attending a concert in 1998. Lisa is married to Steve, who is also very involved in Children’s Ministry. They have three adult children, each of whom are married: Kristin and her husband Kris, Matt and his wife Alina and Makenzie and her husband Travis. When Lisa is not busy with Children’s Ministry, her and Steve enjoy biking and spending time together. Rick Wright serves as Youth Pastor for Catalyst Student Ministries at Solid Rock Church. He gave his life to Christ in 2003 and began attending Solid Rock Church. There he met his wife, Kim, and they married in 2007. Together they have a young daughter named Nadia and an infant son named Beckham. Rick has a powerful testimony of overcoming obstacles and coming to know Jesus as his personal Lord and Savior. This, combined with his passion for young people, has allowed him to minister and be effective in the lives of many. 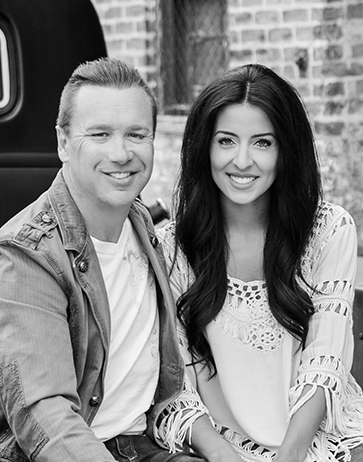 Kim Wright serves as our Special Events Coordinator, Executive Assistant, and Youth Pastor of Catalyst Student Ministries, along side her husband Rick. She has been a member of Solid Rock Church since 1982 and joined our staff in 2004 after working in the mortgage industry for several years. She is passionate about Jesus and desires to minister the Word of God to those who are hungry or searching for answers. Kim holds her Associates Degree in Business Administration from Strayer University. Her and her husband have a daughter and a son and reside in Trenton, Ohio. Johnny Cox is one of the Praise & Worship Leaders at Solid Rock North. Johnny was born in Muncie, Indiana but grew up in Kentucky. He joined Solid Rock Church, formerly known as Middletown Evangelistic Center, in 1986 and quickly became involved in ministry. Before relocating to Ohio, Johnny worked in the coal mines in Eastern Kentucky. Upon relocating to the Greater Cincinnati area, he started his own business in the construction industry. Johnny has faithfully served in music ministry for many years and is an anointed singer, leader and musician. He is a proud father to his daughter Shiloh and they reside in Hamilton, Ohio. Ministering to the needs of those incarcerated. Feeding those in need, every Wednesday evening. Be instrumental in managing donations and distributing clothing to those in need. Feed and clothe the homeless and needy from Cincinnati. Help the needy in our community by preparing and distributing food boxes. Experience evangelism classes and real life training on spreading the gospel. Worship is expressed in many ways including dance and drama. Join the ushers ministry as they assist the congregation and pastors during weekly services. This ministry strives to keep the house of the Lord clean and maintained. This technical team facilitates sound and lighting needs for services and events. Keeping Solid Rock safe and secure, the Security Team is here to assist with various needs. The media team oversees all aspects of audio and visual needs for our weekly services. Help welcome members and visitors to Solid Rock Church. The Medical Response Team assist with medical needs during services or special events. The first Sunday of the month we honor the Lord’s sacrifice. Join other members as they serve the communion sacraments to the rest of the body. Join the worship team and band as they usher in the presence of the Lord. Serve the church body by working in the bookstore selling products to bless the body of Christ. Ministering and serving those seeking God around the altars. Join the Women’s Ministry for monthly activities and fellowship opportunities. Join active and retired service men and women in fellowship and ministry opportunities in the community. Meeting every Thursday evening at 6 pm, this group of overcomers encourages and empowers others to live free. Join the fellowship and discipleship of Men as we face the tough issues of life. Join us for Intercessory Prayer every Monday at 7 p.m.
Financial freedom is God’s plan for all of us. Experience proven biblical principles through this life changing class. Hope Over Heroin is bringing HOPE across the nation. This collaborative effort by churches and communities across the nation seeks to reach those suffering from drug-related issues. This multi-day event, complete with live music, real stories of deliverance and local resources, give those hurting the most the HOPE they need to be set free and live a life of victory. Yearly, Solid Rock Church also sponsors True Love Week an event that concentrates on reaching out locally and building up the surrounding communities. Searchers of Souls, better known as SOS, is an evangelism team from Solid Rock Church. SOS teaches the principles needed to effectively witness and win souls to Christ. Together they minister out in the streets and do door to door ministry. The goal of SOS is simple; win souls for Christ! The Prison ministry team of Solid Rock Church travels weekly to prisons across the tri-state to minister the gospel to inmates who are faced with consequences from their life choices or hopeless situations. The team provides worship, Biblical instruction and prayer to these men and women, while providing an atmosphere of hope and healing. Ignition Outreach ministers to the needs of children in our surrounding community. 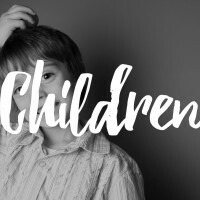 Through a summer outreach program and other events throughout the school year, Ignition helps young children by providing positive influences, support and spiritual guidance that they can use in their everyday lives. The Hospital Visitation team ministers to the needs of those who are sick, hurting or shut-in. Through prayer, communication and encouragement, the Hospital Visitation ministry connects with those in need and offers them hope and spiritual support. The mission project in Honduras is an on going work of love that includes building the body of Christ both naturally and spiritually. This project works closely with the apostolic ministry of Wings of Mercy to build churches, schools, fresh water resources and other projects to impoverished areas around the country. The Honduras project also assist in evangelistic outreaches, pouring into pastoral leadership, and putting on a youth camp every year. To get involved, pray about being a “goer” or a “sender” to this pure work lead by the Holy Spirit! The mission of the Darlene Bishop Home for Life is to minister to the needs of women 18 and older who are pregnant, or dealing with abuse, or addictions and to encourage positive choices within an atmosphere of hope and healing. The Home for Life provides shelter, food, discipleship training, life skills preparation, job skills readiness, thereby, equipping each resident with the necessary tools to be set free and lead productive lives within their communities. The Welcome Center is designed to be a place where all can come to get their questions answered, sign up for events and get assistance with any needs they may have. The Welcome Center also facilitates special needs such as helping people with physical disabilities or medical emergencies. The Ushers ministry exists to help members and visitors within the church body. Their support can provide anything from helping someone find a seat, to assisting with the offering or connecting with a first time visitor. Looking for a nice place to relax and grab a bite; the Solid Rock Cafe is the perfect spot to eat and fellowship. Visitors are also welcome to come and meet the Pastors, as well as receive a free drink. The media ministry handles all video and audio needs for Solid Rock Church. Aspects of the ministry include live recordings, graphic displays, cd & dvd production, duplication, web broadcasts and more. The hearing impaired ministry deals with those who have special needs. This team uses sign language to communicate with those who are deaf. Greeters are the face of Solid Rock Church. A pleasant smile and a friendly handshake, welcome members and guests into services. Greeters are also available to help answer questions, lend a helping hand and help meet the needs of the people. This team consists of professional men and women in various aspects of the medical field who help assist with medical needs and emergencies that may arise during services and events. Sometimes people are in need of more in-depth conversation, wisdom and instruction. Counseling is offered in the offices of Solid Rock Church through Renewal Counseling Services and through the Solid Rock Bible College. The communion team assist in monthly services by helping to prepare and distribute to those in attendance. Every service the choir ushers in the presence of God through praise and worship. Care Leaders are responsible for connecting with members of SRC. They help to oversee the health and wellness of those who attend and provide encouragement and prayer. A stop by the bookstore will give people a chance to browse a collection of books, music and other products from some of the best Christian authors and leaders. People will also be able to pick up the latest sermons from SRC, as well as products that can only be found at home. The Breakfast Ministry works in conjunction with the Adult Education ministry to provide coffee, orange juice and other items to those who attend Sunday morning education classes. Altar Workers serve within the church. They are available to pray with people who come to the altar for salvation, healing and any other needs that they may have. 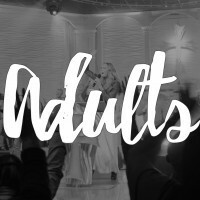 Young adults is geared for high school graduates though the age of 29. This group meets regularly for outings and activities. Whether past or present, military veterans are invited to join together for events that support each other. Several times a year our men and women that served, come together for Bible studies, picnics and other events. The Steel Disciples biker ministry is designed for those who love Jesus and those who love bikes. This ministry reaches out to fellow bikers with a message of the transforming power of Christ. Through rides, concerts and various events, these radical bikers spread the love of Jesus to both the saved and the lost. Solid Rock Bible College offers degrees in Theology, Counseling, Christian Education, Administration & Organization, Fine Arts and Science. Classes are held on Tuesday evenings in the LBFC. Living Free is designed to help those dealing with life-altering situations such as addiction, divorce, life style choices and more. During these classes, you will deal with tough issues and learn the tools necessary to be an overcomer. Classes are held on Sunday nights at 5:30 p.m. in the LBFC. Prayer is at the foundation of every Christian life. Our corporate prayer meetings encourage people to come together to seek the Lord and to pray for our pastors, congregation and our nation. They are hosted every week. Tuesday’s from 7 p.m. – 8 p.m. Saturday’s from 10 a.m. – 11 a.m.
Building on the Rock is our 8 week membership course that teaches the fundamentals of the Christian faith and helps those attending understand why we believe what we believe. The course concludes with a dinner for all graduates. This course is a prerequisite for becoming a member of Solid Rock Church. 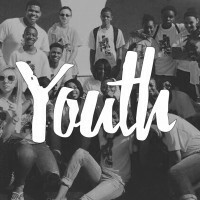 Our 18-30 year old class is designed to deal with issues facing young adults and to help them grow in Christ so that they will have a good foundation for their future. Our 31-50 year old class is great for those looking for fellowship and who desire to grow in their walk with Christ. Weekly teachings provide a deeper knowledge of God’s Word and the classes provide opportunities to get to know others within the church body. No group has more fun than our Harvester’s. For those 50 and older, this class is a wonderful opportunity to take part in what is happening at SRC. These classes including teachings that challenge you to grow; as well as provide an opportunity for food and fellowship. The Harvester’s also meet outside of class for activities, picnics, concerts and yearly trips together. For those who are just looking for a deeper knowledge of the Word of God, the Discipleship class offers just that. These intense studies are designed to challenge you and cause you to grow in your relationship with Christ. A range of topics are covered in this class but all have the purpose of making your Christian walk an amazing experience. Families are at the core of our church. One of the goals at SRC is to produce strong families and offer support to encourage couples to succeed and to grow. This class on marriage deals with topics that encourage those attending to have the best marriage possible. Whether you are struggling in your marriage or you feel that your marriage is better than ever, this class is sure to help you and your spouse continue to grow together in the Lord. Veterans’, both past and present, are such an important part of our church and our nation. Quarterly, Veterans from all branches of our armed forces come together to uplift one another and grow together spiritually. Whether it’s a picnic, a breakfast or other kind of gathering, this ministry offers support to those who have faithfully served our nation. Sister’s Women’s Ministry is designed to reach women of all ages. Through monthly gatherings, outings or services; women are able to form lasting friendships, support one another and deal with issues concerning their Sisters in this generation. Our Men’s Ministry meets every couple months for various events including dinners, sporting events, bible studies and outreaches. This is a great place to get to know your brothers in Christ and encourage one another.